Beginning with the title track, this album from Shanti Shanti quickly presents itself as something refreshingly unusual and gorgeously memorable in a few simple moments. The song emerges with an organic sense of rhythm and space, the ambiance feels absolutely minimalist in fact, to the point that the chords and the acoustic strum and the drum-line appear to be the only additional elements alongside of those beautiful paired voices. Without a doubt, it’s those voices that drive the sound here, the songwriting is just lovely so the melody on this opening song offers the band an opportunity to really exercise some impressive, entrancing harmonies. 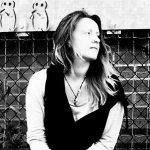 As things progress, additional dashes of world music begin to appear – a tribal drum-line with a touch of something mildly electronic about it comes through for Who Am I? Those now familiar voices provoke a certain way of thinking, they pose questions that seem to be for themselves but simultaneously involve their audience. The song builds to be wonderfully energizing – a simple dance backdrop cleverly contrasts with those thoughtful vocal harmonies. It seems that, by all accounts, you could press play on any one of these songs, and the music would work its magic for you. Moments like Shine On continue to build on that vibrancy, that underlying pop energy that allows the sentiments to shine in a crisp and professional way. Asato Ma follows and re-introduces those other influences, those other dashes of culture and language. This one makes for a calming, hypnotic, even stunning moment within the project. The build-up is gradual but magnificent. Aside from the delicate strength of the music, the ideas presented throughout this collection are consistently inspiring and hopeful. They invite you to dream, to believe in the good in the world, to question things, to seek out the truth. Permission is a personal highlight that brings together all of this and offers an unexpected touch of Regina Spektor in the hook melody. The music is dramatic and heavy, utilising contrast again alongside of those gentle voices. The Parting Glass follows with a traditional folk feel and immediately calms you with that choir sound and that optimism – as if the end is near, but all will be OK. Arrangement is important when it comes to playlists. At 15 tracks deep, this project does incredibly well to keep you entertained and interested at every step. There are moments of softness, moments of weight, rhythmic pop outbursts and soulful, folk-driven subtleties. Soul Of a Man is a latter-half highlight for its welcomed use of so many of these elements. Carry Me is another for that pure, acoustic energy that lets the song’s wonderful sentiment stand so tall. A beautiful, powerful song. You get a little bit of everything with this album, but never does it veer away from the band’s true essence. Refuge is a song that stops you in your tracks a little. The opening ambiance is heavy, drawing your focus to the droned background and the contrasting, light vocal prayer. Later on, the song evolves to be something beautifully vibrant and uplifting. Little Flower afterwards feels like a subtle whisper in comparison. As the penultimate moment, Your Light showcases a considerate chord progression and a notably personal, revealing string of lyrics. Always the lyrics fall in line with the album and the band’s core values, but these are relevant to all if you choose to let them in. The music makes itself accessible, and quite mesmerising. Purnamada follows and finishes things up with a further touch of world-fusion and a lightly intense backdrop and delivery. An interesting way to end, feeling like a tribal prayer of togetherness – a concept that shows itself time and time again throughout the album. 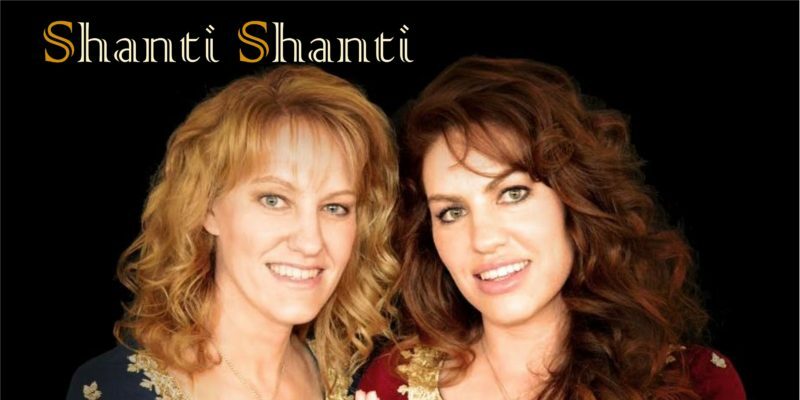 Shanti Shanti have a truly beautiful sound. Their songwriting is equally beautiful and works hard to hold your attention and affection at every step. Download the album via iTunes. Find & follow Shanti Shanti on Facebook. Visit their Website for more information.